I've been a professional hand engraver for over 32 years and my specialties are highest quality one-of-a-kind engravings. Browse my galleries to explore the possibilities of having your wedding ring, engagement ring, signet ring, or heirloom jewelry expertly hand engraved. If you're interested in learning the art of hand engraving then your journey can start here. 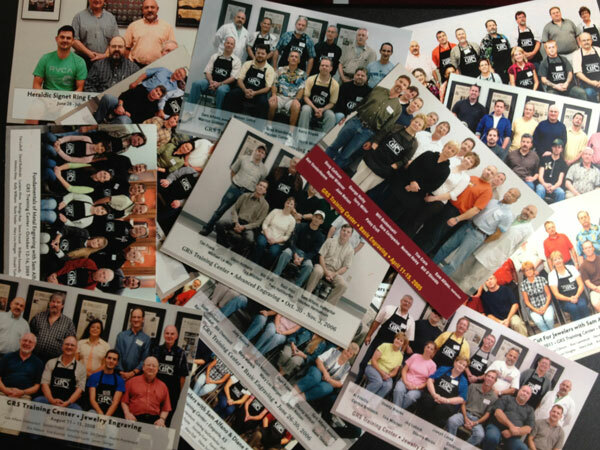 Since 1998 I have taught hundreds of students this richly rewarding art. Group Classes & Private Instruction I teach all levels of hand engraving from beginner to professional, and I can teach you. 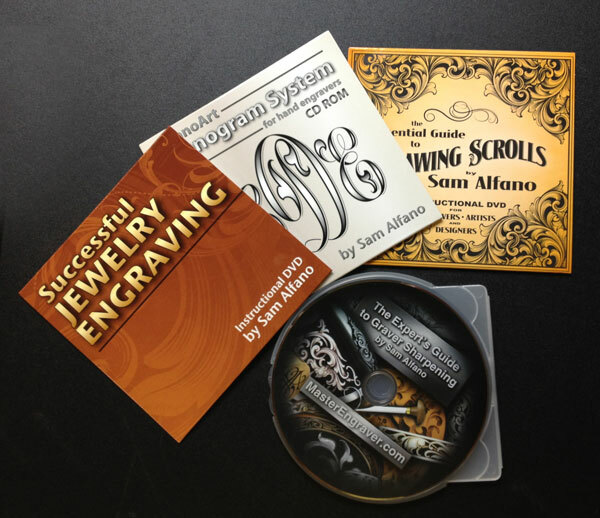 Instructional Videos by Sam Alfano Scroll design, jewelry engraving, graver sharpening, and more. Available in DVD or On-Demand instant download. My New Design Book! 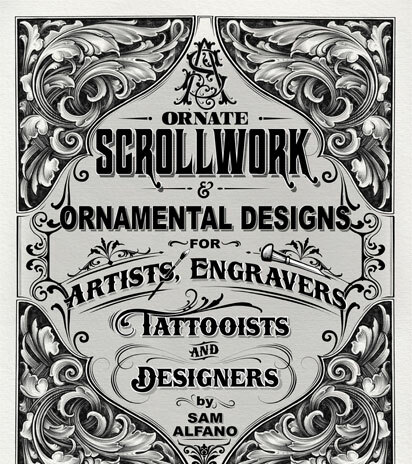 Over 300 designs you can use for your engraving. 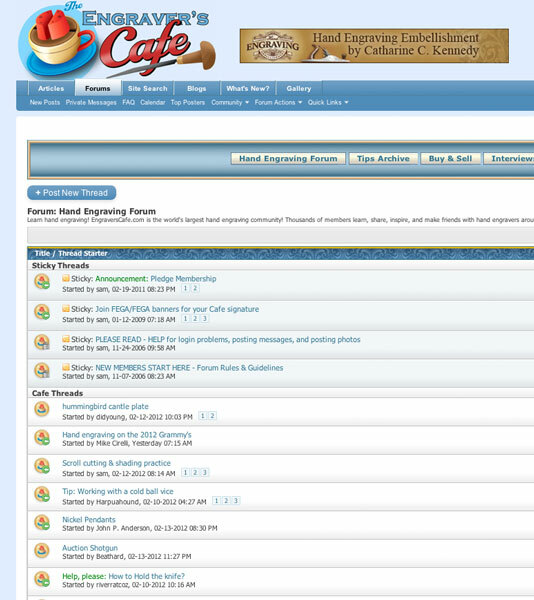 The Engraver's Cafe forum Join the world's greatest hand engraving community.